Shee Janabhawana Primary School is a school located in Panchkhal, 1.5hr outside of Nepal’s capital city Kathmandu. It seeks to give children a platform to attain academic excellence whilst maintaining a well-adjusted social and cultural life. Ten years ago the school fell to wrack & ruin due to a lack of money and the desire by local students to be educated in Kathmandu city its. 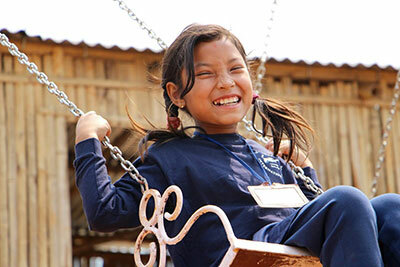 Our second schools partner in Nepal is Bhimsen Primary School and Higher Secondary School. For both schools there is a great opportunity for CRED Team Trips to get involved and provide further support through provision of teams and the educational activity weeks. CRED Foundation are also looking forward to exploring other opportunities to support these schools as the partnerships develop over time.